Welcome to the website of Murdock Funeral Home. 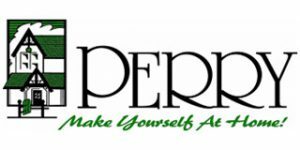 We serve Perry, IA and the surrounding areas. We offer many funeral and pre need services to help you and your family get through this difficult time. Committed to his community, Steve Murdock, has over 40 years of funeral service background. Raised in Lone Tree, Iowa, Steve worked at the local funeral home. Since then he knew funeral services were his dream. He pursued this dream by attending the Dallas Institute of Mortuary Science in Dallas, Texas and graduated in 1974. Following college, Steve worked in Des Moines, IA and decided to move to Perry to raise a family. 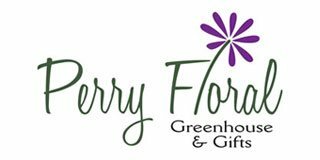 Steve and his wife Joyce moved to Perry in 1978 and purchased Time on Funeral Home. In 1983 Steve merged with Fouch Funeral Home and purchased the business in January, 1990. The name was then changed to Murdock Funeral Home. The Murdock’s have three grown daughters and six grandchildren: Jill and her husband Trent Stringer, children Elise and Ben, Kim and her husband Eric Klingensmith, daughters Savannah and Trinity, and Kara and her husband Jason McKee, children Margo and Graham. Steve is a member of Iowa Funeral Directors Association, National Funeral Directors Association, Perry Elks Lodge #407, and Otley Masonic Lodge #299. With experience and dedication to the family, The Murdock’s provide a warm and comfortable home for families to gather during very difficult times. They pay very close attention to every detail and provide the family the funeral service they desire.